-What devices are on my network? -How can I deliver and manage apps? -How do I protect confidential data? 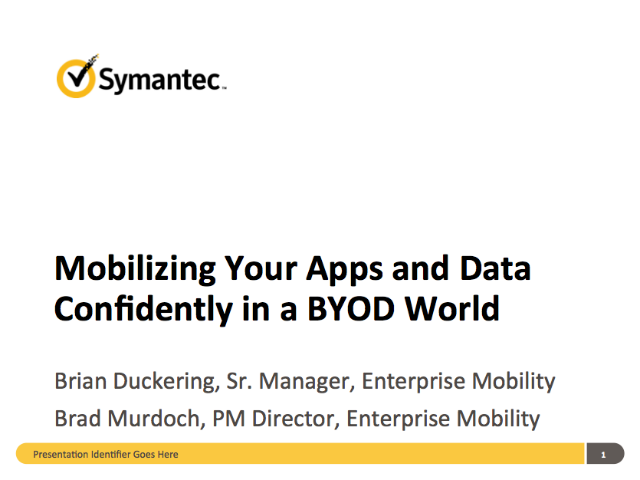 -Is BYOD an option I can seriously consider? Attend this webcast to find answers to these questions. Learn about cutting edge technology and techniques that can not only confidently enable a BYOD strategy, but also help you find productivity and competitive advantages previously unavailable, even in highly regulated and secure industries.